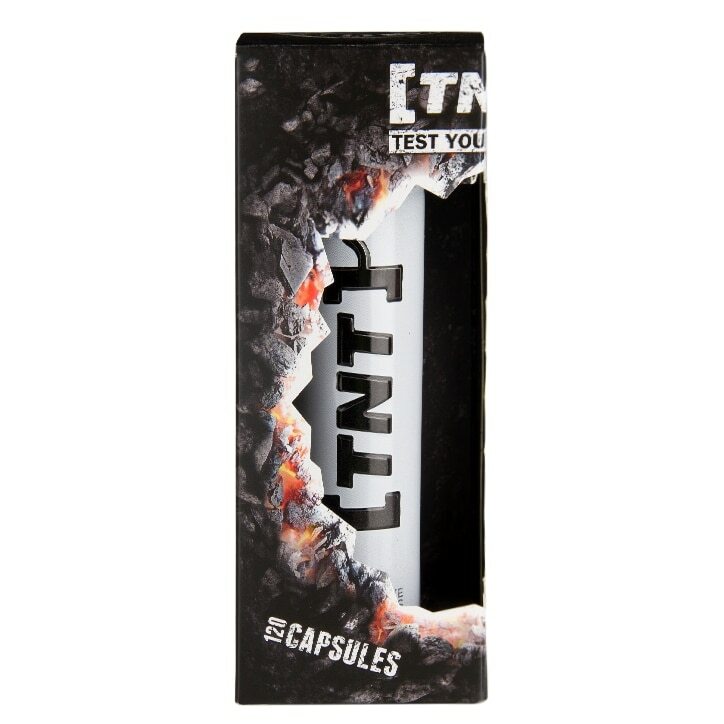 TNT Test Your Limits uses the official trademarked version of ZMA (Zinc Monomethionine Aspartate, Magnesium Aspartate and Vitamin B6) which is a performance supplement used by athletes and bodybuilders. For best results take 2 capsules before your breakfast with a large glass of water and a further 2 capsules either before training or 30 minutes before bed. Do not exceed more than 4 capsules per day. TNT TEST YOUR LIMITS can be consumed for up to 8 weeks before a 4 week break is required. This product is a food supplement and should be used in conjunction with a healthy balanced diet and regular exercise routine. Note: For tested athletes please consult your specific federation before use. Do not exceed the recommended daily intake. Food supplements should not be used as a substitute for a healthy diet. If you are taking any medication prescribed by your doctor, check with them before taking this product. Warning: Store out of the reach of children. Store in a cool dry place. This product is for use by anyone over the age of 18. The packaging and container may be attractive to minors but it should not be used as a toy. Risk of choking due to the presence of small parts. TNT Test Your Limits is rated 4.0 out of 5 by 1.